In yesterday morning's edition of The NY Times, David Leonhardt and Kevin Quealy launch a new feature, "The Upshot", by providing new data on rising inequality of U.S. incomes in the United States. The charts show that incomes have been falling for the lowest 5th percentile in the United States, and while rising in the other percentiles have been rising more slowly than other industrialized countries in the 10th, 20th, 30th and 40th percentiles. U.S. median income is likely to be exceeded now by Canada's. But the chart and its meaning are more complicated than might seem at first look. The intervals in the table are not even. They are 5 percentage points at the top and bottom and then switch to 10 percentage points. The intervals by years are foreshortened at the recent end from four to two years. The key to understanding the relationship between the United States and other countries is the slope of the lines for each point in time for each percentile. This requires sophisticated thinking - it's cross-sectional trend analysis. There are pitfalls here because exchange rates are changing for independent reasons. The United States appears to be losing ground only for the 5th percentile. If the chart only showed the 10th percentile, none of the trend lines would point downward. For the percentiles the United States is increasing but other countries are getting better faster, at least up to the median (50th percentile). The reporters base some of their their conclusions on data not in the chart. In a followup table published online later in the day, the reporters provide a simplified table showing clearly that Canada's median income in 2010 for the first time appears just about to equal the U.S. median income. But the evidence for the idea that Canada has bypassed the United States since 2010 comes from "other data". These complications don't negate the results or the headline, but they provide food for further thought. Focusing on disposable income does not provide a final answer to the question: "What goods and services can people at each level of income buy or get access to?" This may help the case for Sweden's poor, but it raises questions about a U.S. average, since states vary in what they provide. Since 1980, for example, has health care become more accessible for more Americans? Leaving Obamacare aside, drug benefits were added to Medicare. U.S. education is not maintaining its leadership in building literacy and skills. Government policies encourage more inequality, with a minimum wage that hasn't been raised for years, soaring increases in executive compensation, and The U.S. Rapid growth of U.S. health care costs over the 1980-2010 period is another reason for the decline in disposable income for the poorest Americans. Health care costs on average are a higher proportion of the incomes of people below the 50th percentile than above it, and they have been rising steadily for decades. This reduces discretionary income, especially for the poorest people. Norway, Sweden and Canada have had a national health care system in place. This has to be a significant factor in why their poor are doing better. 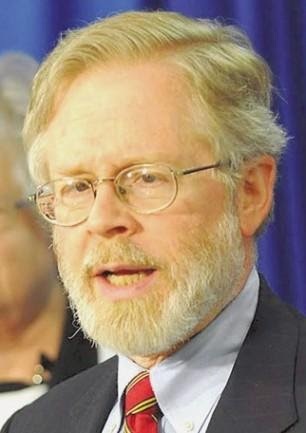 To reduce health care costs in NY State, Assemblyman Richard N. Gottfried, Chair of the NY State Assembly Health Committee, is trying to emulate the health care systems of Europe and Canada by introducing a Single Payer Health Plan for New York. It recognizes that the national Affordable Care Act (“Obamacare”) is making health care more accessible and efficient, but still leaves a costly layer of administration that should eventually be unnecessary. His “New York Health” bill (A.5389-A/S.2078-A, sponsored in the Senate by Bill Perkins) will make sure that in NY State, everyone is covered. It will also save billions through a publicly sponsored, single-payer health coverage, like Medicare or Child Health Plus for everyone. Provide comprehensive, universal health coverage for every New Yorker and would replace private insurance company coverage. Cover all New Yorkers for medically necessary services, including: primary, preventive, specialists, hospital; mental health; reproductive health care; dental; vision; prescription drug; and medical supply costs - more comprehensive than most commercial health plans. Be funded through a graduated tax on payroll and non-payroll taxable income, based on ability to pay. Today, the same premium is paid by a CEO and a receptionist, and a successful company or a small, new business. For most people, it will be a substantial reduction in what they now spend and most people’s discretionary income will go up. 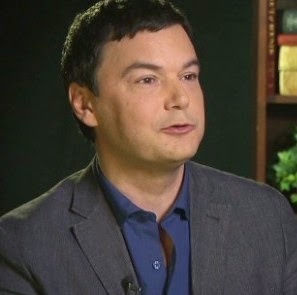 Prof. Thomas Piketty (pronounced PEAK-et-tee) of the Paris School of Economics has been on a triumphal tour of the U.S. media to promote the new translation from French of his book Capital in the Twenty-First Century (Cambridge, Mass. : Belknap Press/Harvard University Press, 2014). What's the fuss? The closest analogy seems to be the publication of John Maynard Keynes's General Theory, which in 1936 provided a way of thinking about monetary and fiscal policy that provided an economic rationale for the massive injection of monetary liquidity that was engineered by FDR and his first Treasury Secretary, Will Woodin, and the Federal budget deficits that followed. Reportedly economists were awed then by the way Keynes solved several problems at once. Piketty has done the same thing for the discussion of income inequality. you could mostly say, “Oh, yeah? Guess what.” The evidence for a sharp rise in inequality [since 1975], a definitive break with the three postwar decades, was overwhelming. Second, denial that those who were getting richer was a small group. The whole top 20 percent, it was said, i.e., well-educated Americans, were getting richer. But at a certain point — to a large extent thanks to Piketty and Emmanuel Saez [at Berkeley] — we got to say “Oh, yeah? Guess what.” Actually, rising inequality was in large part about the rise of a tiny elite, the one percent and within that the 0.1 percent. Third, denial that the ones getting richest fastest were a tiny elite as in the Gilded Age. The answer [from Piketty] was, “Oh, yeah? Guess what.” We don’t have Gilded Age* survey data, but we do have tax records back to the early 20th century, and top income shares are right back at late-Gilded-Age levels. In his review of Piketty's book in the NY Review, Krugman gives credit to Piketty for the increased interest in income inequality and above all in the focus on the top 1 percent. He also credits Saez and Anthony Atkinson at Oxford. "patrimonial capitalism" in which the commanding heights of the economy are controlled not by talented individuals but by family dynasties. Krugman gives credit to Piketty for using tax records to go back before survey data on incomes were generated by the Census Bureau and other agencies. This takes the United States back to 1913 and Britain back to 1909. France has wealth-tax records going back to the French Revolution. Piketty's essential theory is that if workers can be replaced easily by machines, the rate of return to capital (r) will exceed the rate of growth (g) and this will lead to greater concentration of wealth. Krugman thinks this is a terrific theory. He and Piketty both have a nagging concern that maybe the higher inequality of income resulting from "supersalaries" could be a significant factor. But the onus for this goes back to the U.S. government for lowering the tax rate, thereby making the marginal increase in incomes worth the time of CEOs to pursue. The drift toward oligarchy is not inevitable, but Piketty and Krugman think it is probable. This will be comforting for you, or afflicting, depending on your POV. But, Krugman says, with the publication of this book "we'll never talk about wealth and inequality the same way we used to." * Some writers use "Gilded Age" as largely synonymous with "Belle Epoque". The advantage of using "Gilded Age" is multiple - it doesn't require a decision and word processing technology surrounding an acute accent over the E in Epoque, it doesn't require the reader to know anything about a complicated period of European history, and it refers to American robber barons that we all know about, like Andrew Carnegie. The main difference in the timing is that the Belle Epoque starts in the early 1870s and goes all the way to World War I, whereas the Gilded Age stops with the end of the 19th Century or maybe with the death of Queen Victoria in January 1901 (in those days, finance still revolved around London). P.S. The CityEconomist Blogpost just clicked over 75,000 page views. Thank you for reading!! of the "Hottest 10" restaurants in NYC, spring 2014. 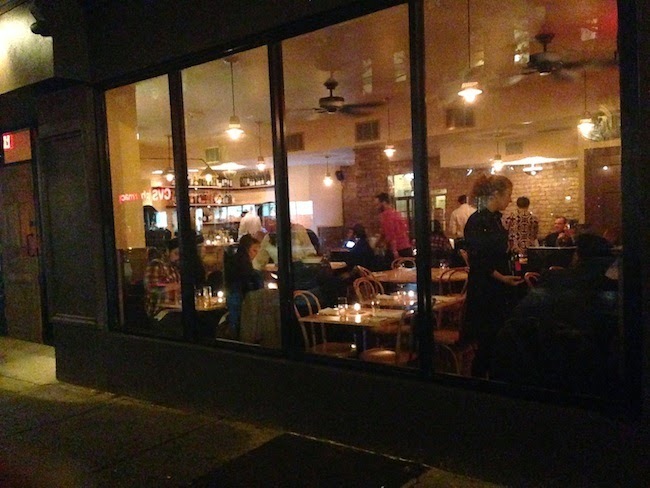 The new-restaurant excitement in New York City is focused on Brooklyn, as evidenced, for example by Battersby. The four of us (Alice and I, and Caroline and Francis) recently went for dinner to Dover, on 412 Court Street in Brooklyn. Dover has been open six months and is now fully staffed. It is restaurant #2 of the owners of Battersby, and it is bigger, newer and more likely to be able to seat you, although it too is getting discovered fast. Like Battersby, it is getting top reviews. It is in the "Hottest 10" NYC restaurants for the spring 2014 put out by Zagat every quarter. Can Bon Appetit be far behind? The tasting menu looked good and I was ready to go for it. You pay a little more, and you get the deep thinking of the chef, who puts together the selections. Wines are also paired with the food. The tasting menu is certainly tailor-made for people who don’t like making a whole slew of decisions at the end of a long day and want to get an idea of what a restaurant can do, at one sitting. But... it dawned on me... for a group of four, a tasting menu ironically gives you less to taste. The typical requirement of a tasting menu is that everyone at the table must have the same food. That rule taketh away some of the value that the number of tasting portions giveth. You end up getting less exposure to the menu than if you just pick a la carte and share some of the food that looks good. The four of us got to taste 14 dishes on the a la carte menu. We had wine as well, for less than $100 per person before the tip. To taste seven dishes on the tasting menu we would have paid about the same and paired wines would have been extra. For two people, one of whom is going to get the bill and is trying to impress the other, the tasting menu is perfect! For four people, a tasting menu doesn't offer enough variety. In my view, restaurants with tasting menus should require the first two at the table to get the tasting menu, but then they should relax the requirement or offer more choices. They offered a choice of three items for each course. They did not require everyone too buy the tasting menus. In this environment, a tasting menu is a great deal. In 1969 I moved to New York City with a Ph.D. in hand to be a finance professor at Baruch College of the City University of New York. During the next few years I was continually surprised by the gap between the sophistication of financial theories and the primitive misunderstanding of financial markets among the general public. In 1972 I decided to do something to help improve financial literacy and started a new journal, the The Journal of Financial Education. I wrote a letter to members of an association of university-level finance teachers and got a response rate of about 10 percent. Now, 52 years later, the journal is still going strong. At that time, a popular view was the idea that the stock market was a "random walk". Princeton Professor Burton Malkiel's book with those words in the title appeared in 1973. Getting an edge on the market legally was thought to be difficult or impossible. What carried investors was a general rise in the stock market, not so much anyone's ability to predict a particular stock. Along with the potential of more return went greater risk and at the end of the day you paid for your greater potential with more volatility, and one balanced off the other. Activities that are illegal but are not enforced. Activities that should be illegal but are not. Michael Lewis's new book on the Flash Boys shows how front-running makes huge profits even if the advance information is only a matter of fractions of seconds. Traders make a profit by being ahead of the market. Large profits are possible at the expense of slower traders. Who are the smarter money managers? Are they leaving anything for their clients after they take their fees and profit shares? People who can't beat the market when they pick stocks on their own are unlikely to be able to pick with any assurance the best money market managers, offering reasonable rates. Index funds came into fashion, led by Vanguard and its founder Jack Bogle, as a way of keeping down the cost of mutual funds. That's one option, minimize trading and money management fees. Finding financial advisers without a stake in your decision are another alternative. But these advisers in the past have only been interested in middle-sized and large investors. Now there are new start-ups that offer financial advice for smaller investors. Here's a description of one of them called FutureAdvisor that looks interesting. Three cheers. It's about time that the little guys had more choices in how they are guided in making decisions. Be a Hot Venue with a Tiny Kitchen! The Spring 2014 edition of the quarterly report from Zagat, written by Kelly Dobkin, came out last month. Brooklyn (2) came in second after Greenwich Village (5) in the number of restaurants mentioned. Chelsea, Harlem and the Lower East Side each got one restaurant. Missing boroughs: Bronx, Queens, Staten Island. Analyzing by type of food, two were "American" and the other eight were described as: New American, Mexican, Sushi, "Diner", Italian, Mediterranean, Seafood, and French. What interests me from the business side is that the Empire Diner has of necessity a small kitchen and it still manages to get itself into the top 10 list for hot restaurants.